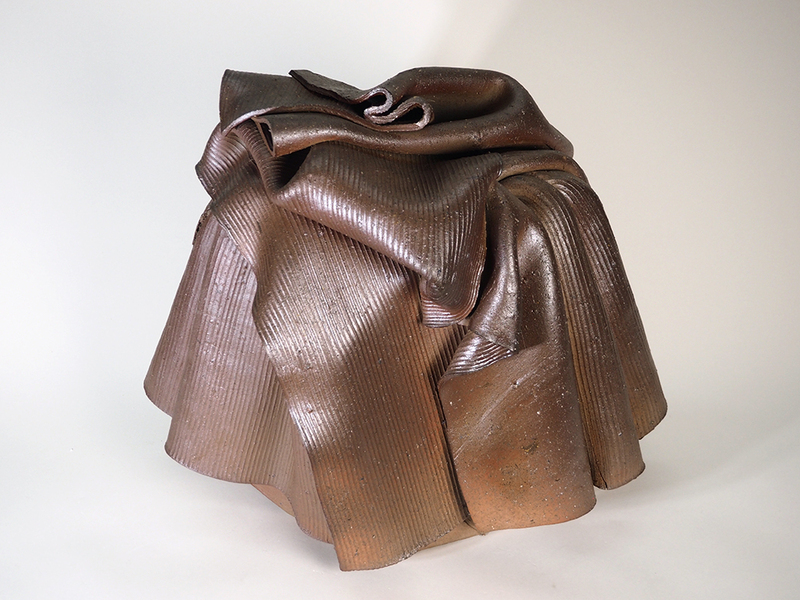 KANESHIGE Kosuke | Bizen Sculpture "Saint’s Garment" No.5 — Dai Ichi Arts, Ltd.
KANESHIGE Kosuke is a Bizen potter with a long family lineage, and a modernist sensibility. 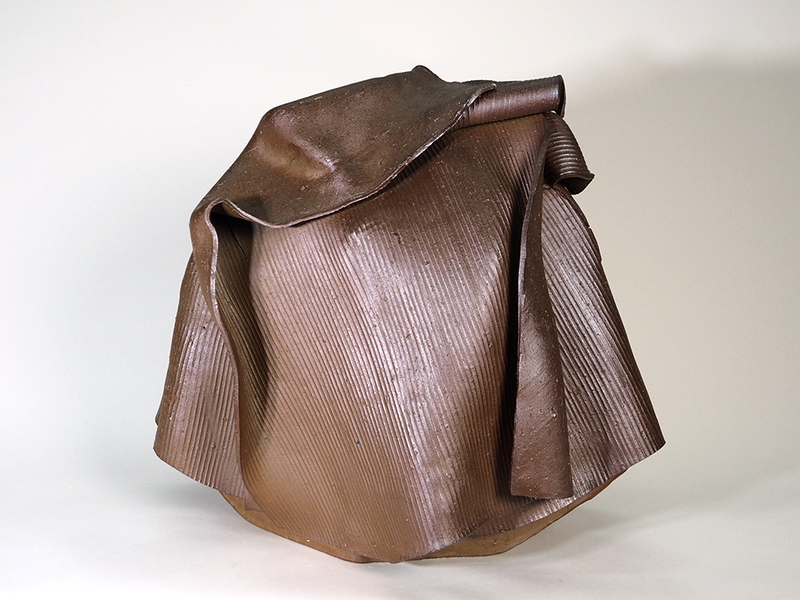 His Saint’s Garment flows with the quality of a textile, its wonderful softness exploiting the full plasticity of clay, and contrasting nicely with the rich, iron red-brown color characteristic of historical Bizen. Starting with a conventional diamond-shaped vase, Kaneshige then carefully arranged slabs of clay around the form, creating voluptuous folds. When seen in the round, one can appreciate the beautiful complexity of the clay drapery: a variety of light and shaded areas: shapes that appear stable and others that are about to fall. The delicate parallel combed lines of the surfaces play against the luxuriant folds. 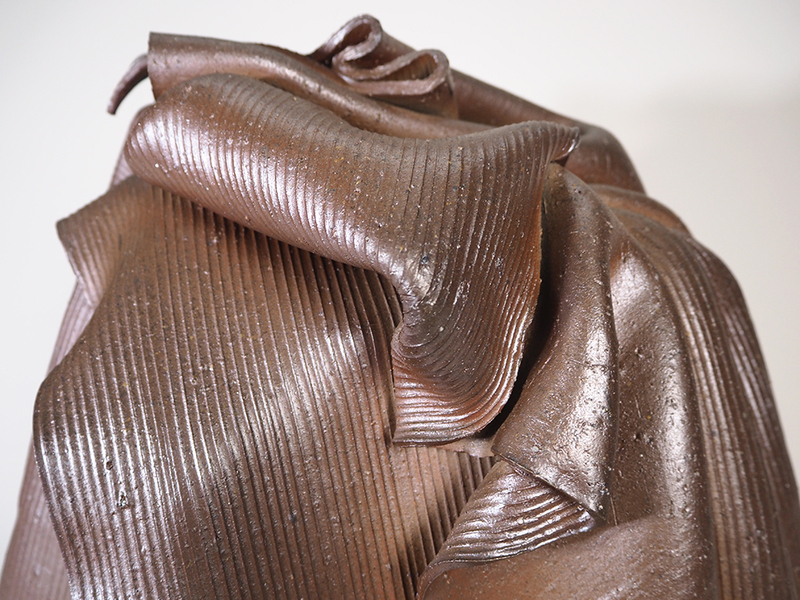 Kosuke has achieved an exciting transformation by raising the banal image of textile to a monumental sculpture. 2005 Solo exhibition at Dai Ichi Arts, New York, U.S.A.
Museum of Fine Arts, Boston and Japan Society, New York, U.S.A.
Center for the Arts, Maryland. 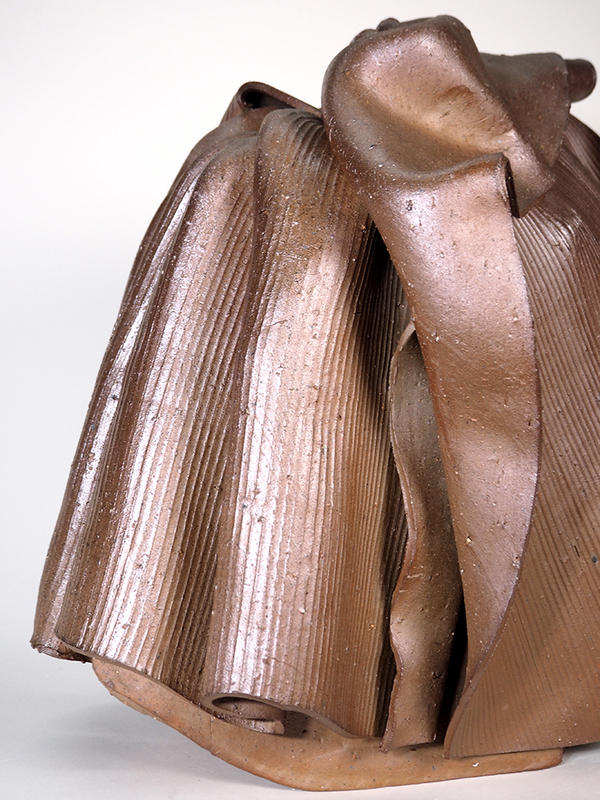 KANESHIGE Kosuke | Bizen Sculpture "From the Sea"